Welcome to The Rock Terrace! 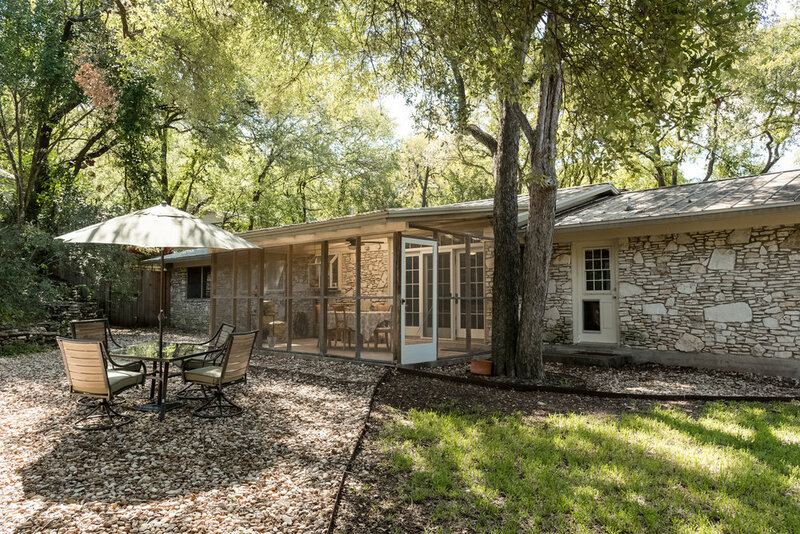 When you pull up to this home there’s one thing you notice first: the peacefulness of the cul-de-sac and the way the house is set into the shady nook that Barton Hills is known for. 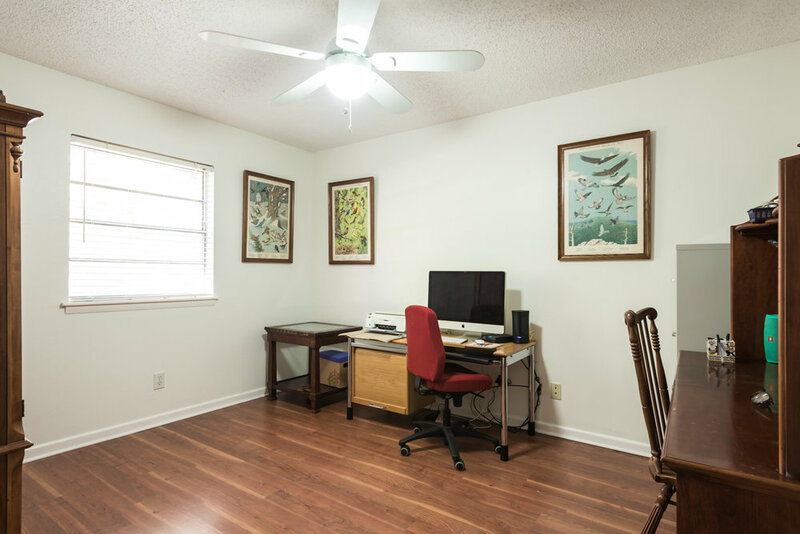 Simply put, you’ll feel right at home. 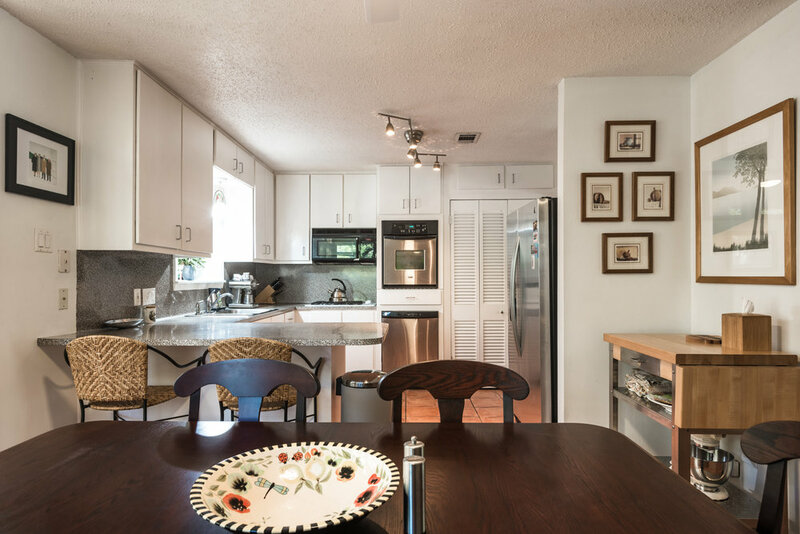 This is a classically laid out ranch style three bedroom home that has been updated and meticulously cared for. 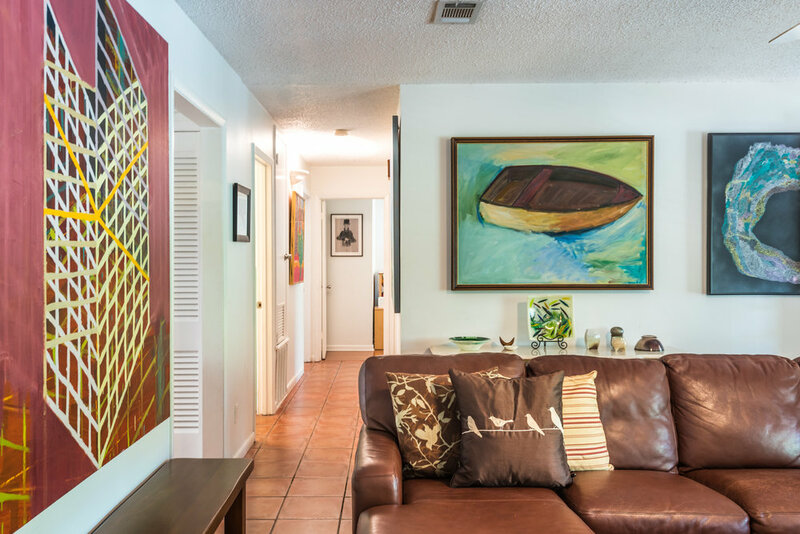 As you walk in the front door you’ll find the spacious living room, with huge wrap around leather down-filled sofa. 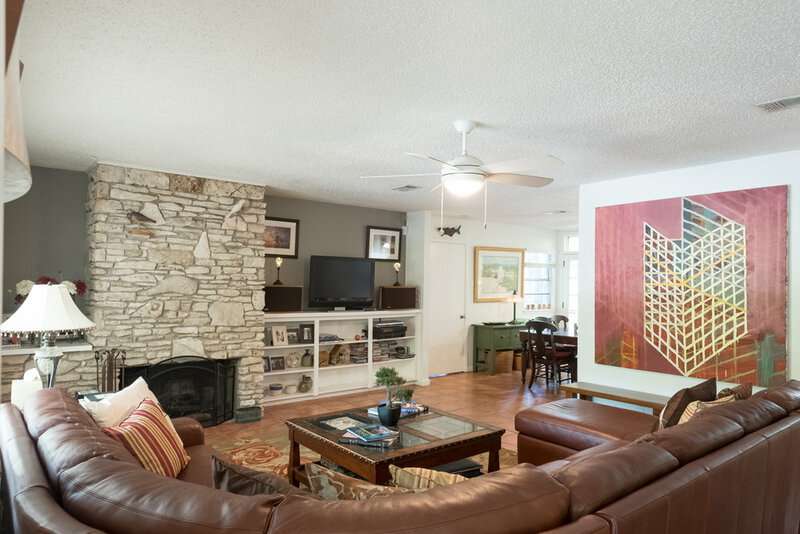 It’s a perfect place for relaxing and watching TV, or sitting with friends and family and sharing a board game night or watching the big game. There’s Time Warner full cable, wireless internet and bluetooth audio in the home. The cherry on top of the living room is the gas fireplace. Through the living room to the left is the kitchen, which is very naturally bright and furnished with everything you’d need to cook a feast. 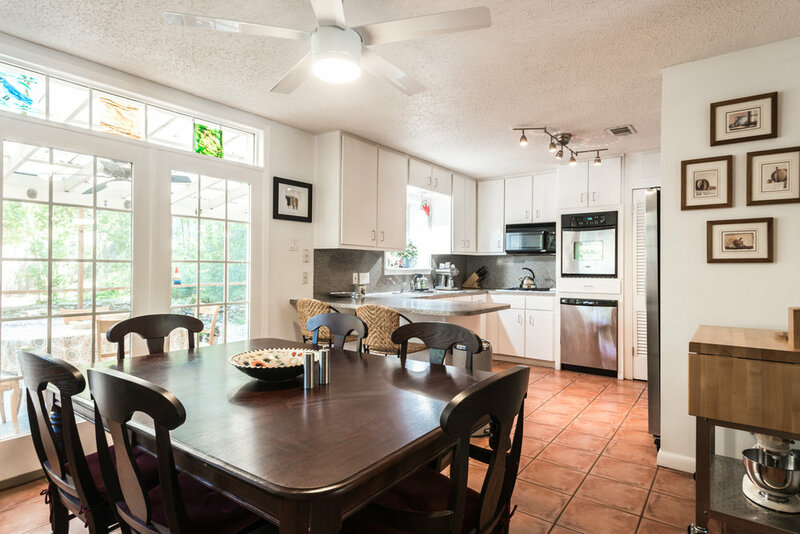 There are Kenmore appliances and a full size pantry. 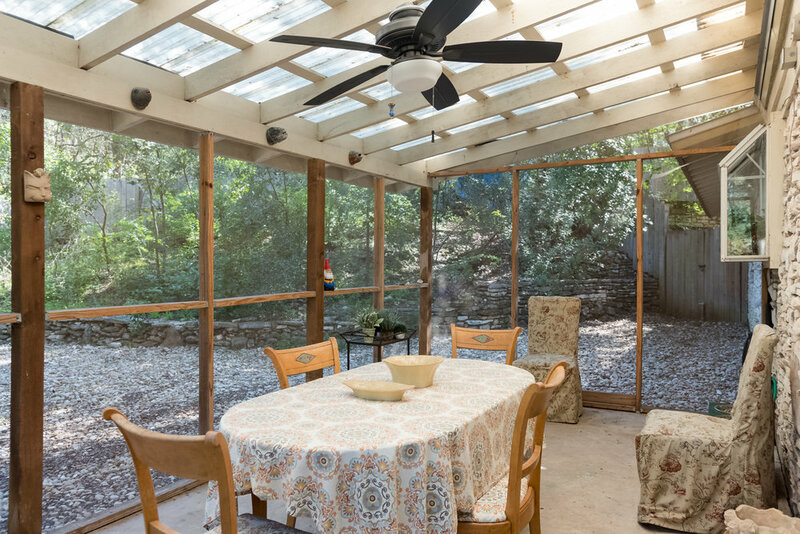 Out the back door you will find the crown jewel of this home: the screened patio. 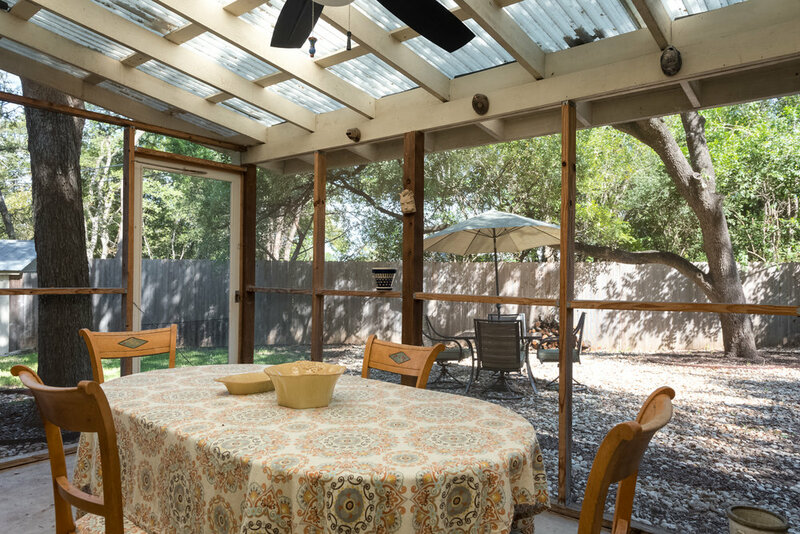 It was important to create a space that would entice folks to enjoy the beautiful shady canopy that back yard provides and this patio is the perfect place to do it. There’s not many more private spaces to sit around the table and enjoy a meal, or just to sit and have a cocktail. The bedrooms are set up with a king bed, a queen bed and a full. The master has the king bed, along with a private bathroom. 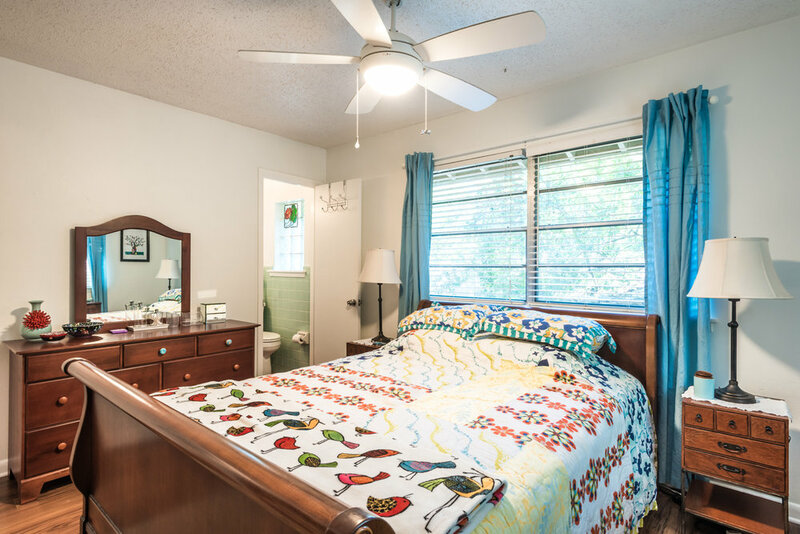 The beds are comfortable and all bedding, pillows, linens and towels are included with the rental. 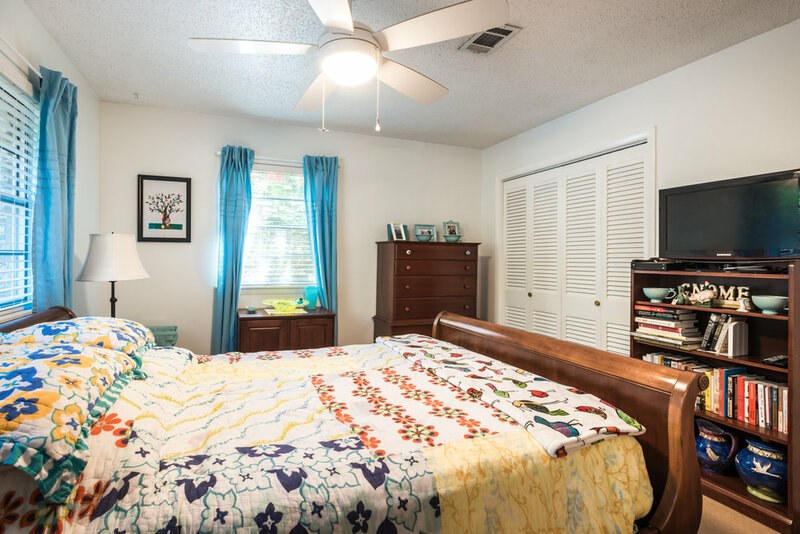 Each bedroom has a TV with full cable access. 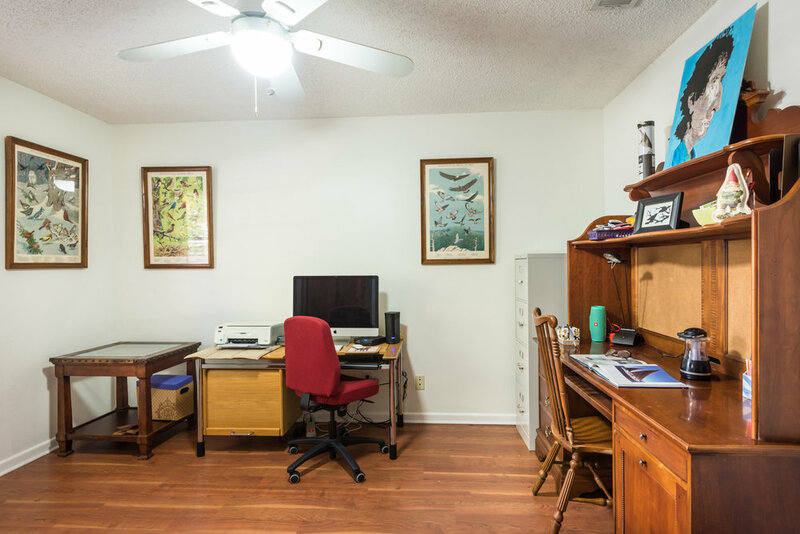 Additional notes: There’s a laundry/mud room right off the kitchen with a full size washer and dryer that are maintained by the owner. Additionally, yard maintenance and preventative pest control are also included. The carport has comfortable parking for two vehicles. 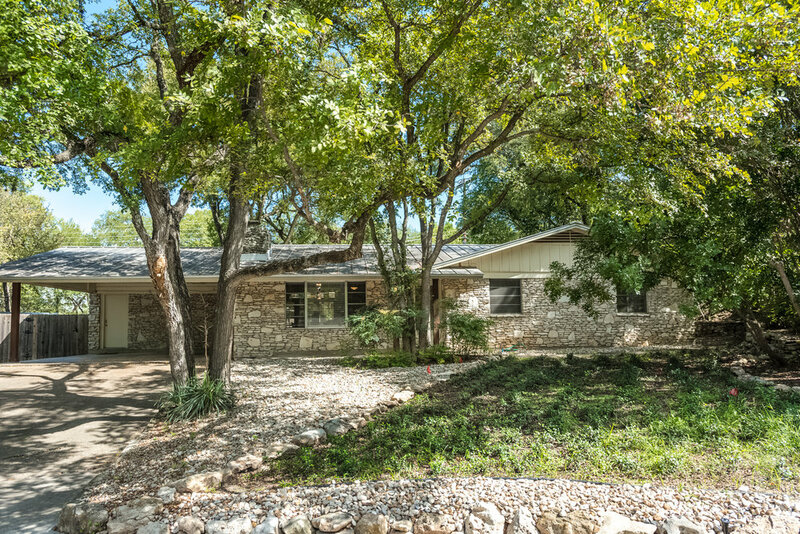 The neighborhood: Barton Hills. 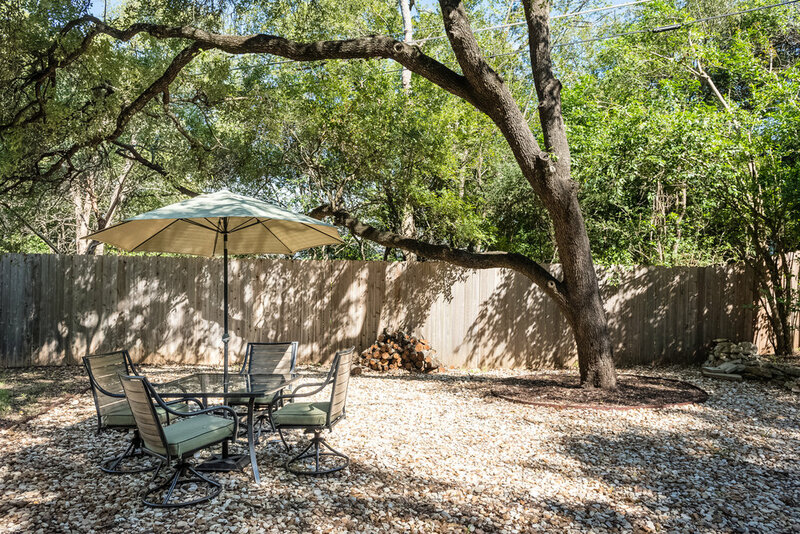 You’re just minutes walk to the Barton Creek Greenbelt, Zilker Park, and Barton Springs Pool. Simply put, these are the reasons we love this location so much. 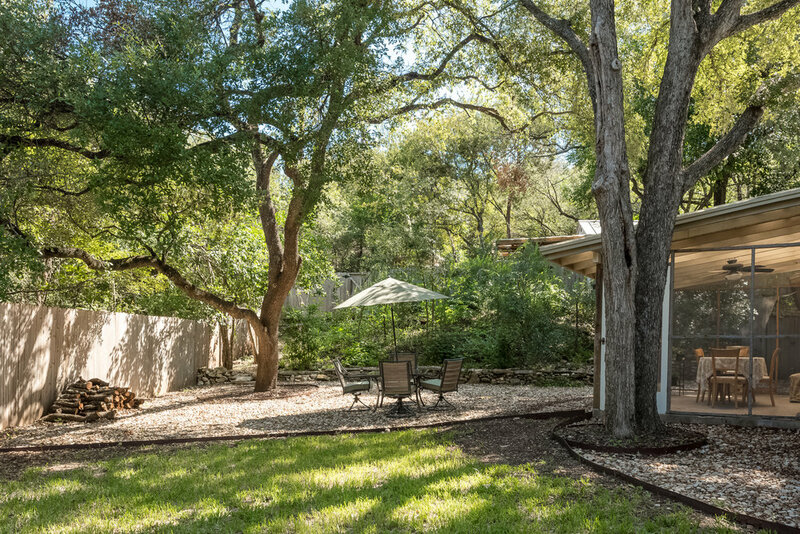 You’re surrounded with opportunities to feel connected to nature, all while only 2.5 miles to downtown Austin. This home will be available for rental in the later half of December 2018. Pets are ok upon approval and with additional deposit. Rate $4750/monthly all bills paid. $2500 damage deposit. $500 pet deposit ($150 non-refundable). This home requires a one-month minimum rental. VacationCake - "We Save Room For You"